The older I get, the more I realise how many obsessions I have. Minor ones, admittedly. Perhaps more fixative than obsessive. And the peculiar thing is that although I’ve had them for years, I’m only now noticing them. 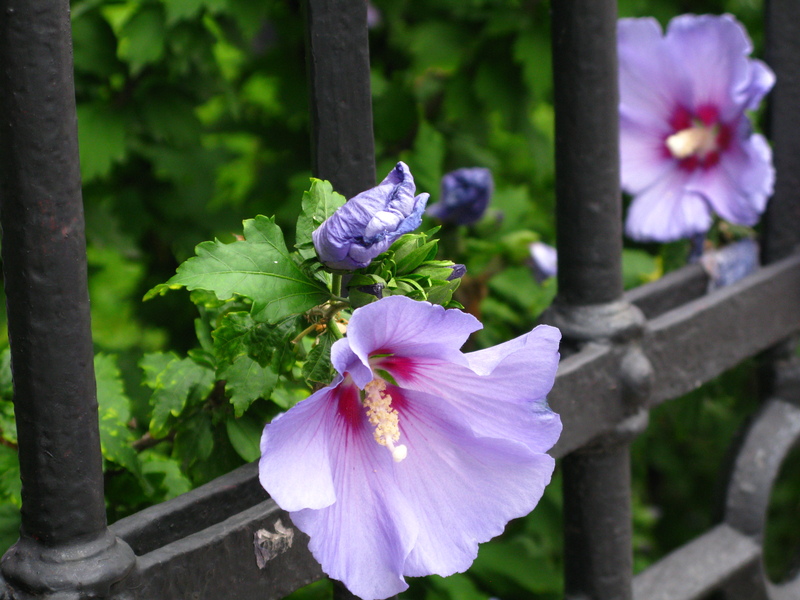 Take my thing about flowers behind bars. 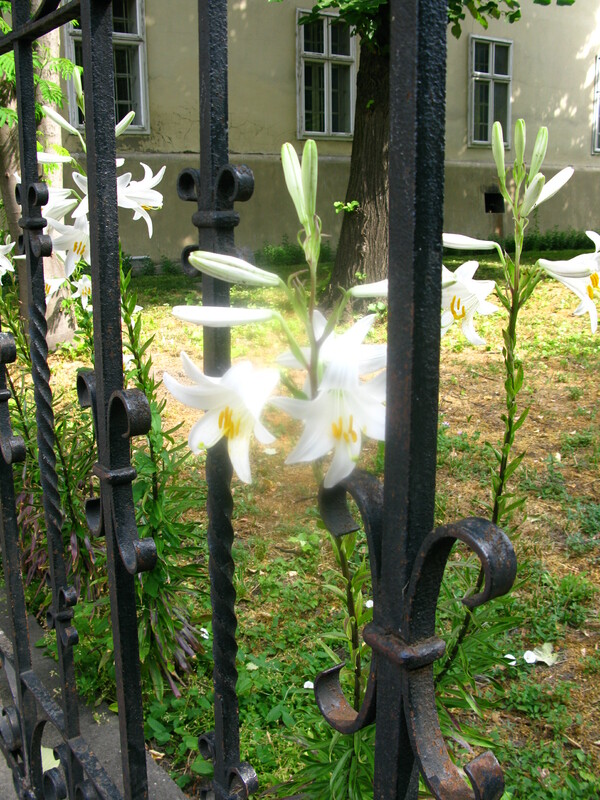 In Subotica the other day, I found myself taking the long way around to pass a bunch of lilies behind an iron railing. The sun was doing weird things to the petals, creating a ghost-like shimmer that seemed quite fitting, given that the flowers were growing next door to the church. I was having a particularly ‘fat’ day. I’ve been off off the cigarettes since 1 May (and yes, I meant to put two offs there). I’ve been off them before but not seriously. It’s as if my body knows it too, because, true to fact and form, I’m piling on the pounds and wondering why I’ve given up something I like to become something I loathe.That old story of a skinny girl trapped in a fat body comes to mind – and perhaps that’s what the bars spoke of. If you want to join the ranks of pedantry, you’d point out that these are lemons, not flowers, but a fence is a fence is a fence. I remember once measuring a three-day hike in terms of the number of lemons I’d need given that I was carrying a litre bottle of gin and an ample supply of tonic. When did I grow up and get sensible? When did I become so serious? When, I wonder, did I start measuring life in terms of deadlines and meetings, airports and airplanes, invoices and reports? 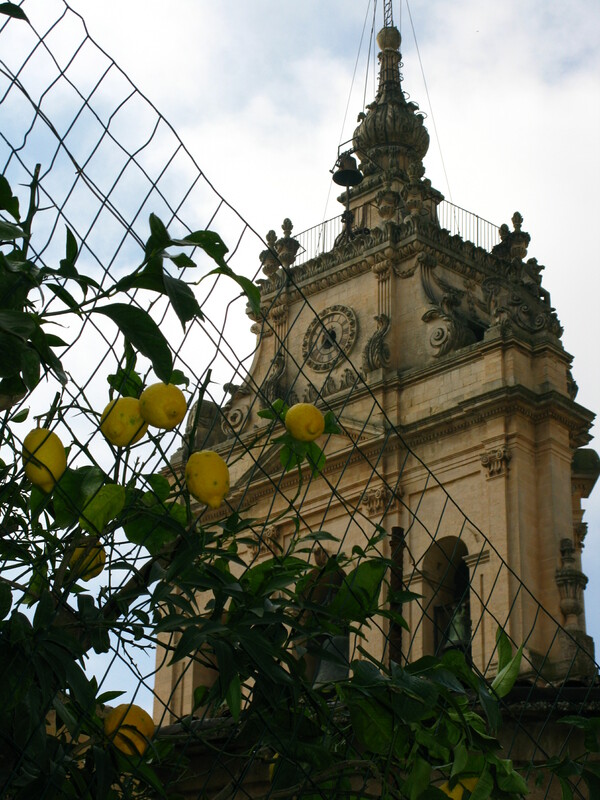 How difficult would it be to turn back the clock, rip down that fence and set those lemons free? I’ve never been a great one for roses. Perhaps I overdosed on fairy tales as a child and had my fill of Rose Red and Rose White. Maybe their association with Valentine’s day has morphed into my subconsciousness and manifested itself as a synonym for commercialism, materialism, and all the bad -isms associated with money. There was a time, back in those wonderful days when I had time, that I would go regularly to Bratislava. I was looking in some silly, romantic way, to get a sense of what it was like to live during the Cold War and Communism. For me, walking out of that train station is as close as it gets, off-celluloid. I want somehow to get a sense of a time I was never party to; to get a glimpse of what like was like from behind the bars. And yet, quite laughably, we build our prisons. The fences we erect around our little patch of life, fences that keep us in once place (perhaps figuratively rather than literally), doing one thing; fences that somehow shape our vision of who we are. 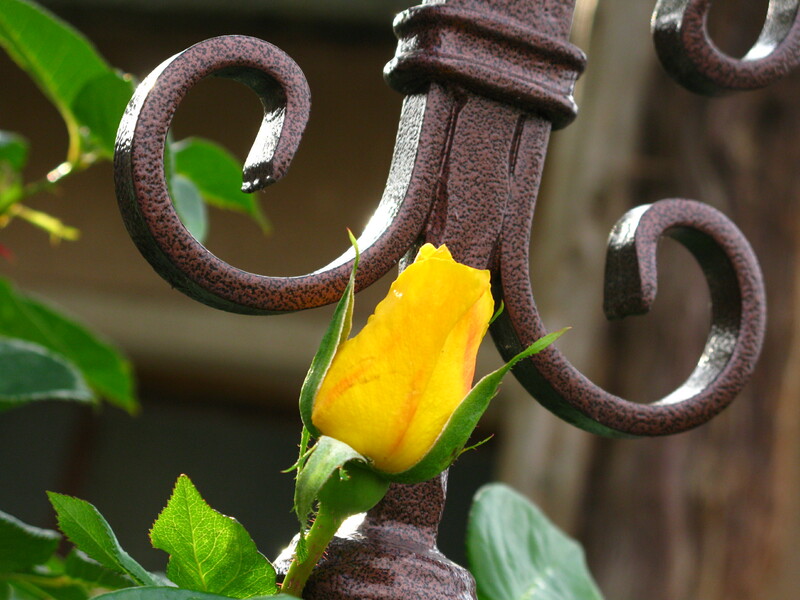 And inside these fences we grow, regardless of those self-imposed limitations. Others looking in see the beauty that we ourselves have long-since disregarded and when they point it out, we dismiss them and their opinions as inessential. Perhaps it’s open roses I don’t care for. Ones that have yet to bloom still have that sense of what might be. That sense of wonderment. Something to look forward to. They’re not jaded by life and work and that ever growing list of have-tos. That increasing sense of obligation that comes with so-called maturity. That weight of responsibility augmented by dependency. For them, anything is possible. Youth is on their side and life is rolling out ahead of them, ready to be shaped and molded to their liking. Not for them the daily battle of wills, the fruitless fight against the establishment, the struggle just to start what will fast become just another day. I wonder when this fascination started? What triggered this strange collection in my subconsciousness? Perhaps it’s the juxtaposition of beauty and ugliness – the ugliness of captivity. Or even scarier, the representation of having given up – of somehow having decided to settle for life as it is, with all its limitations. Or worse again, the recognition that I’ve bought into the mass mania that values the external manifestation of beauty above anything else. Or maybe I just want a cigarette. Thoughts for us all to meditate on. Thank you. Raw veggies – as in a stick of celery in a Bloody Mary? Now there’s an idea, Donna! The two 2x5s are a good enough reason for the weight, Biddy. Must look into the trainer (!) possibility. Thanks for the vibes.